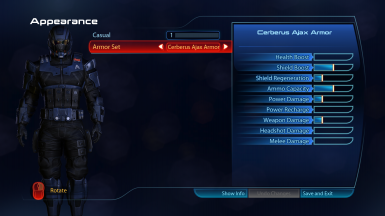 Retexture of the Cerberus armor for Shepards from the Appearance Pack-DLC. 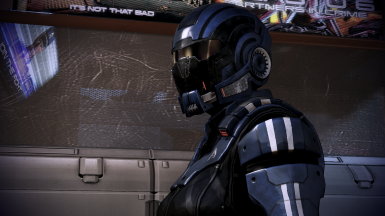 If you are bothered by either Femshep or Sheploo running around with enemy insignia, this retexture by Tarkov33 is for you. this is the re-upload of a repacked texture of the Ajax originally done by Tarkov33, based upon smarteck's high resolution textures for said armour of the Appearance-pack. In the mean-time, you may want to stick with versions prior to 623 until the transition is complete. 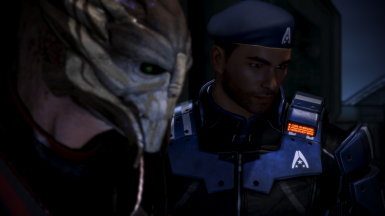 I'll try to have a version compatible with this uploaded as soon as possible. "To install permanently you will need to have successfully executed a tree-scan with me3explorer. With that being the case, open up me3explorer's TPF/DDs Tools, select top left "Load TPF" and point to the extracted .tpf that comes with the .rar-archive. Next step, select "Analyze with Texplorer" to the bottom left. Once that is finished, select "Autofix and Install" to the bottom right. Once completed, you can exit me3explorer." 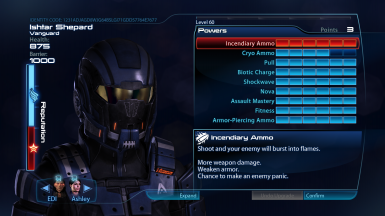 For me3explorer-versions 620-622, you'll still want to use the .mod already uploaded. 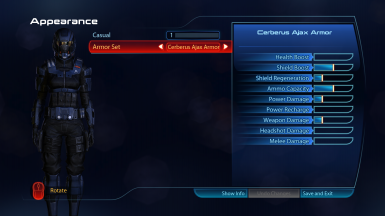 It will remain up for all those who, for one reason or another, wish to stick with those versions of me3expl. Otherwise, through TPF/DDs Tools, it's the same procedure as mentioned in the 03/29/2014 update, except you need to hit 'Install Valid' rather than 'Autofix and Install'. Uploading new .tpf of the Ajax armour kindly provided by Tarkov33 a.k.a. Jackknife35 here on the Nexus. It shows a digital name-tag on the armour which you can see in the two new screenshots. He also went and decreased shininess of its cloth-parts. All credit for the texture-work go to Tarkov33/Jackknife35! To install, run the .tpf through me3explorer's tpf-tools. I myself used me3explorer 3.0 which worked without a hitch, should you feel more comfortable with older me3explorer versions those should work too as long as they sport the texplorer/tpf-tools, as with 3.0 just don't forget to properly set up texplorer and its texture-tree beforehand.